Is your organization looking for an automatic fare collection system that will not only eliminate the burden of manually collecting fares, but also provide insightful reporting data that can be used to make actionable decisions? Traditional methods of collecting fares can be incredibly time consuming. Over time, your organization is wasting hundreds of hours in paperwork and many thousands of dollars in unneeded cost. Fortunately, intelligent transportation systems companies like MJM Innovations have designed software and hardware that can automatically collect and track fares. These systems are saving many thousands of dollars for public transit organizations, paratransit, taxi companies, and more. So how can your organization benefit from electronic fare collection? Read on to learn what manual fare collection is costing your organization, and how an automatic fare collection system can permanently streamline your transportation management. improving service levels and rider experience. If your organization is still using tickets, tokens, passes or vouchers to collect fares, then you know how much of a hassle traditional fare collection can be. Without software or systems to manage your transportation system, you risk facing many serious problems, often caused by human error. Expensive – The sheer amount of tickets, tokens and vouchers that must be produced, tracked, and stored mean high ongoing costs just to keep your system running, let alone for upkeep. Time-Consuming – Without an automatic fare collection system, endless paperwork can pile up. This puts your organization hundreds of hours behind and racks up enormous labor costs year in and year out. Impossible To Track – Paper-based fare collection systems are easy to manipulate and difficult to manage. This makes reporting an impossible task while leaving a high risk for waste, fraud and abuse. There’s now a better way to manage your transportation system. State-of-the-art card technology makes it possible to totally automate the collection of fares, whether it’s a magnetic swipe card or a contactless smart card. Combined with a back-end software management system and a transaction processing platform, these technologies can integrate with your existing infrastructure to immediately save you time and money. No More Paperwork – Card-based fare collection puts an end to the management of inefficient ticket and voucher-based systems, saving you time right away and money down the line. Easy, Instant Reporting – Integration with transportation management software means accurate, up-to-date tracking and reporting. Get the data you need to make your program more cost-efficient to shave thousands off of your bottom line. 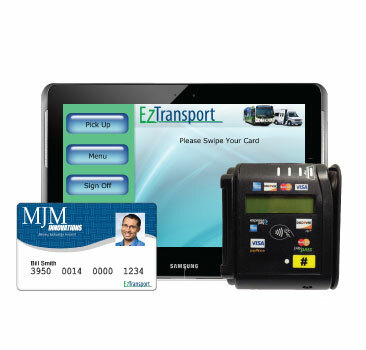 End Fraud, Waste and Abuse – Card technology creates instant accountability and security for your transportation system. Intelligent transportation technology will help you track and prevent abuse, saving you from lost revenues.